Tenacity for Life-Essays on life, business and the world around us: Friday's Reflection: Strong Families are the ultimate backbone of civilization. 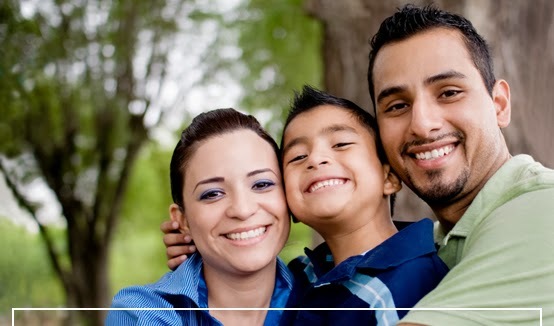 Friday's Reflection: Strong Families are the ultimate backbone of civilization. As we look around us today, we see multiple examples of a threat to the very fiber of our society. This week we honored the one year anniversary of Hadiya Pendleton's death. Politicians gravitated to that tragedy and in typical political fashion focused on the wrong issue- the weapon used to shoot young Ms. Pendleton. They skimmed over the real issues at hand: The gang violence that plagues America's inner cities (the story of the shooter- Micheal Ward) and what drives Chicago's youth to join gangs- the lack of sound family structure, mentoring which all make them ripe recruits for the Gang lifestyle. The statistical data is out there showing the direct overlap with some of Chicago's toughest, most gang infested neighborhoods-the proliferation of gangs in those very same areas and the high percentage of single parent households in those same neighborhoods. The overlap and correlation is amazing. If you look at the commons sense and logic behind it- it is really very simple. Strengthen families and you give the kids a fighting chance. Have you ever wondered how despite the "million men marches" and various fatherhood initiatives- there is still a high correlation of children being raised in poverty? The poverty I speak of is not so much of the financial kind rather a poverty of character, values and moral fiber. 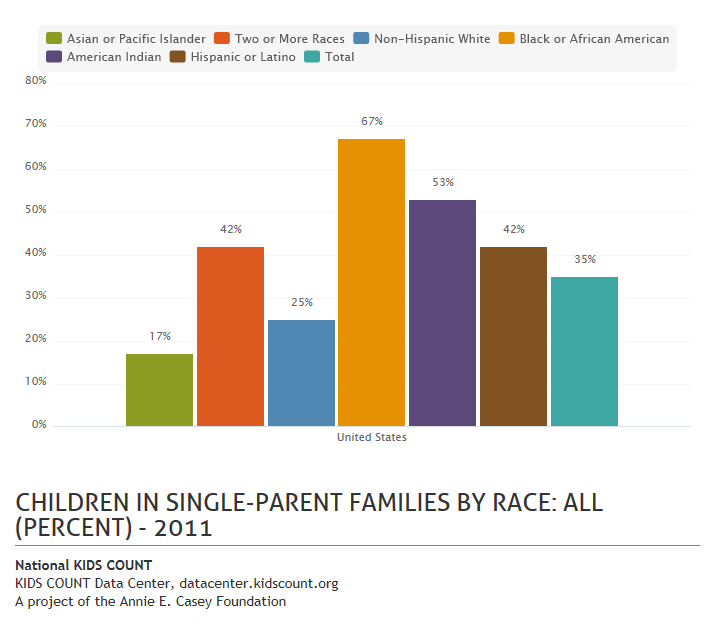 This isn't a general indignation of all single parent households- yet the statistics for children raised in single parent homes wages a strong argument for a need to change that dynamic. As a parent- I'm very present to the difficulties of raising children in today's society. Balancing work, family and the financial pressures of running your own business are unique in their own light. I'm thankful that my wife and I take a team approach to raising our daughters. Both our presence in the upbringing of the children makes sure that we are able to supplement their education with practical teaching that help mold their way of being and human-ness. I couldn't fathom having to go about this by myself. My hat goes off to anyone who is able to make it through being raised by a single-parent and comes out OK.
Now let's factor the biggest "at risk" profile- young boys. The peak development period of birth through 6 years of age is so very important for many children- much more so for young boys. This is when they need the most guidance. I won't go off in a developmental rant- but it is crucial that their values and moral compass be properly formed during this critical period. Little boys have a ton of energy and it needs to be focused. They are little sponges that look to see how the men around them are behaving. This is when the true essence of manhood is developed. They see how their male role-models treat the woman figures in their life. Are they polite? Do they treat the women with respect? How do men and women around them interact? The absence of proper male role-modeling during this period is detrimental to their development. If there is NO male role models, it opens the dynamic for negative influences to take over. Media, video games, television are all filled with poor examples of manhood. In urban environments- the negatives outweigh the positives. By the time, those same boys become adolescents- if they have been immersed in negative role modeling- the opportunity for gangs and other negative influences becomes even greater. Add to this dynamic a poor socio-economic environment and you have what Michael Ward might have gone through. At the age of 18- it is too late. They have associated with the gang element to the point where their need to 'belong to something' has been supplanted with their dysfunctional 'gang family'. This 'cycle' is multi-generational and often our society responds by throwing money at the problem without proper direction for outcomes. The money should be applied to strengthening the family structure and initiatives that teach those young boys what is the true nature of a "Real Man". Lord Baden Powell had it right when he observed African tribes and the familial structure that the tribal arrangement provided. The supportive structure of extended tribal elders supporting the family to supplement the upbringing of young men and women. In a society of broken families and single parent households- it is imperative that we revisit this tribal structure and implement some of Baden Powell's observations. LBP spoke of the need to make a young boy healthy and well developed in his youth so that he might be a contributor to the world around him. I wonder how different the world around us might be if we applied those principles today?